1. Wife of Caleb (son of Hezron) and mother of Hur (I Chron. ii. 19, 50; iv. 4). 2. Another name for Bethlehem (Gen. xxxv. 19, xlviii. 7; Ruth i. 2, iv. 11; Ps. cxxxii. 6; Micah v. 1). 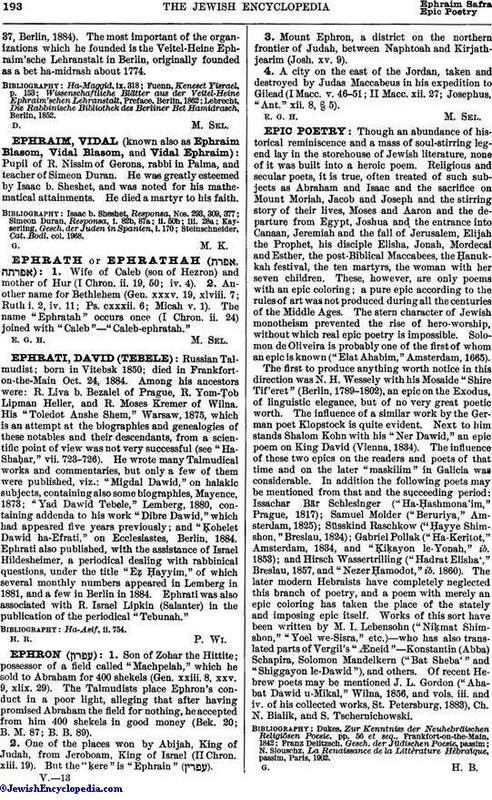 The name "Ephratah" occurs once (I Chron. ii. 24) joined with "Caleb"—"Caleb-ephratah."